Geraldine de Bastion is a freelance international consultant with a multicultural background based in Berlin, Germany. She is an expert on information and communication technology and new media for development and advises governmental organisations, NGOs and businesses on digital media and communication strategies. She also works with activists and bloggers around the world. Geraldine began her career working for the Gesellschaft für Internationale Zusammenarbeit (GIZ) and the German Federal Ministry for Economic Cooperation and Development (BMZ). She helped organise the German delegation for the World Summit of Information Society (WSIS) in 2005 and worked for the Philippine National Development Agency (NEDA) on behalf of GIZ. During the past years Geraldine worked with newthinking communications GmbH, an agency for Open Source strategies. 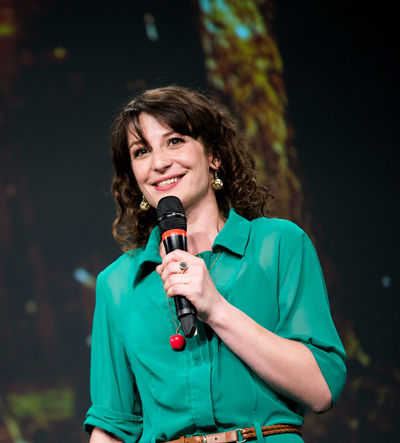 In 2012, she curated re:publica, Germany’s largest conference on Internet and Society. In her free time, she is also a member of the non-profit organisations Digitale Gesellschaft e.V and ICE Bauhaus.